Click here to download a copy of the Draft of the RRD Masterplan. The Sheridan Railroad Historic District (District) was listed on the National Register of Historic Places in 2004. 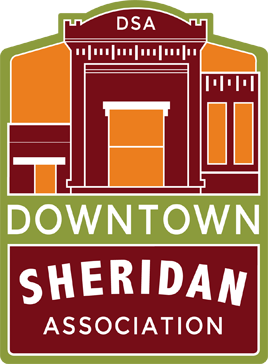 As stated in the National Register nomination, the District is significant as the historic transportation hub for Sheridan and surrounding communities, and for its association with the social, commercial and industrial trends that contributed to the early development of Sheridan. The District retains many of the original buildings dating back to the early railroad era, including two depots, a railroad hotel and railroad workers’ housing. The County of Sheridan and the Downtown Sheridan Association have recieved several grants to have a Master Plan created for the area.